This recipe came from the classic Joys of Jell-O recipe book and boasts a new way to make the old fashioned confection. 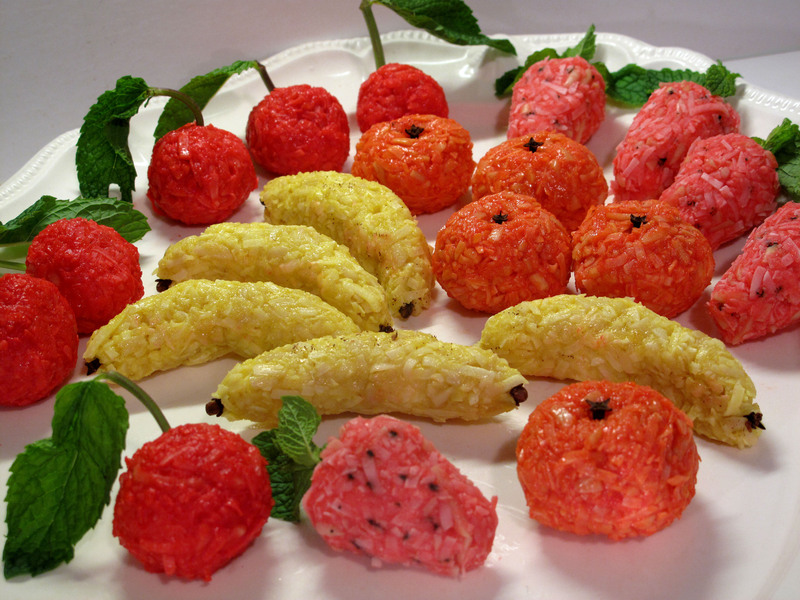 These strawberry, cherry, orange, and banana shaped candies are molded from ground coconut and almonds and are flavored with the corresponding fruit flavored gelatin. Whole cloves and mint leaves put the finishing touches on these tiny fruits. While the taste of the finished product bears little resemblance to actual Marzipan, they are sweet and yummy, especially if you like coconut, and were very fun to make. Okay, I know I say this on like every post, but seriously. Amazing. And so adorable. I want. The cherries are possibly the cutest, they look so right. I’d have to figure out a substitution for the cloves, though. Last year I tried to make one of those clove-studded oranges and the smell from the cloves made me sick, and now the thought of smelling cloves again – urk! This is so creative! And I’ll bet no matter who you served them to or during what occasion they’d be a total hit. Thank you so much for posting. I, too, am a proud owner of The Joys of Jell-O. 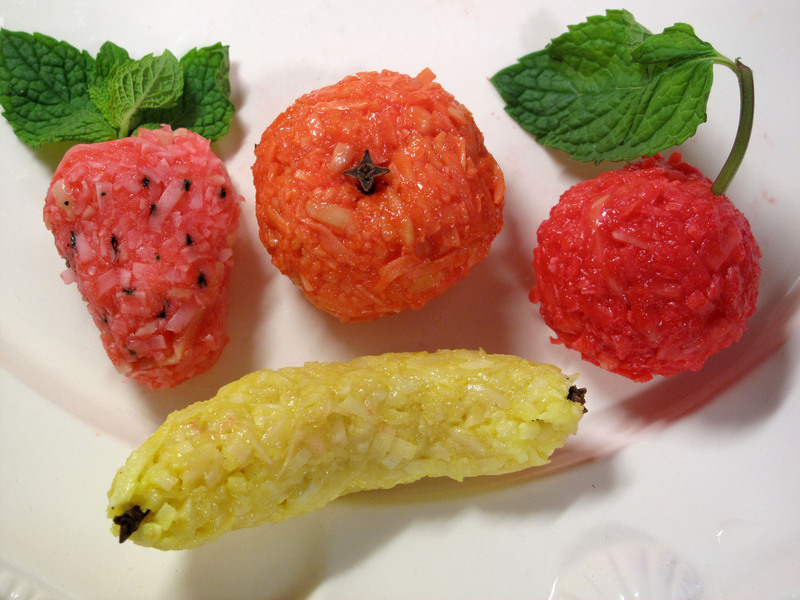 I haven’t tried the marzipan fruit yet, though. They look awesome! Thanks Lauren! They were a little tricky and sticky to make, and not my usual fare. But out of all the recipes in that book, this one was far to cute and intriguing for me not to try.